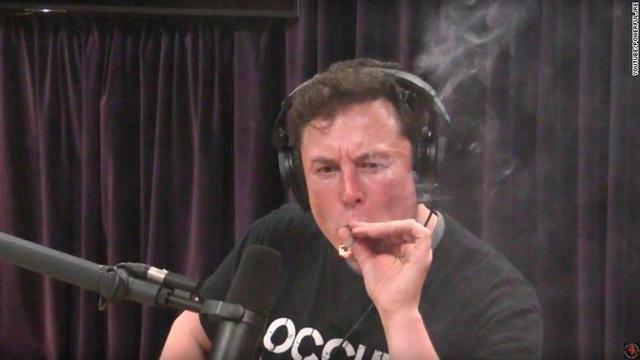 Sleep-deprived, erratic and open to taking a few puffs of a joint on a live web show, famed entrepreneur Elon Musk is a high-profile reminder of how even the brightest human beings are far from perfect. Can computers do a better job? Even scarier: What if computers get better at programming than humans? What if they can, in essence, re-write their own (software) DNA? In the fast-expanding field of AI research, that’s one of the core questions on the lab bench. To help answer it, the European Research Council is supporting several research projects that seek to apply AI to the latest developments in computer programming, paving the way for an era in which human beings take a major step back. “We are developing a system that can essentially learn how to programme,” says Martin Vechev, an ERC grantee and associate professor at ETH Zurich. That could usher in a thrilling, yet unnerving, new era in which self-learning software teaches itself to become more and more effective. Ultimately, computers may be smart enough to program themselves to prove mathematical theorems, manage swarms of robots or even teach themselves to care for sick and ageing humans. Herewith, six questions that ERC researchers are asking as they push forward into this new AI era. Smart robots can work together to get a job done – better than humans? Mauro Birattari’s lab at Université Libre de Bruxelles is on it. Can computers learn to code? Martin Vechev is an associate professor at ETH Zurich, where he leads the SRI Lab. 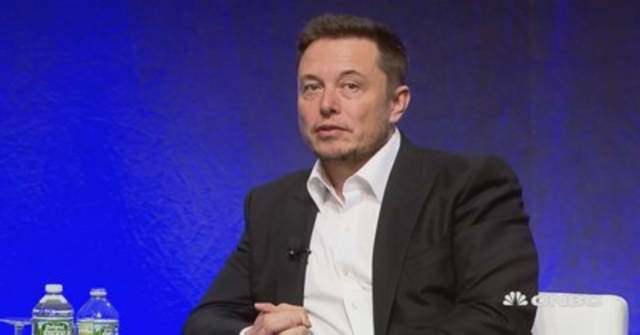 Prior to ETH, he was a researcher at the IBM T.J. Watson Research Center in the US. He obtained his PhD from Cambridge University. His current research spans a range of AI topics including systems that combine programming languages and machine learning to solve tasks not previously possible, foundations and applications of probabilistic programming, and making AI systems more secure, reliable and interpretable. He is the recipient of various awards including an ERC Starting Grant, SIGPLAN and CACM Research Highlights, several faculty awards (Facebook, Google), an Atanasoff prize for outstanding young researchers awarded by the President of Bulgaria, and others. He is also a co-founder of Deepcode.ai, a start-up building the next-generation of AI-based programming tools. Software is eating the world, venture capitalist Marc Andreessen noted in 2011. That was six years after renown American software engineer Grady Booch estimated that more than one trillion lines of code had already been written, with a further 30 billion lines added each year. Today, those figures are likely to be much bigger still. Whereas Microsoft Office 2001 had about 25 million lines of code, Microsoft Office 2013 has about 45 million. The steady rise in the amount of code reflects the growing complexity and richness of software – with more programming languages and libraries of code. For developers, that also means headaches. “As it becomes harder to utilise the (code) libraries, people make more mistakes,” says Vechev, the ETH Zurich researcher. But help is at hand. Much of the software developed in recent years is open source, meaning that the code is publicly available and viewable. This has ushered in the era of “Big Code”, a shorthand term for this vast and growing library of open source code. This library can be used to train computers to identify patterns in software, just as advanced web services, such as Google Photos or Google Translate, process millions of samples to learn to identify particular images or phrases. What’s it take to make a computer smart? Science often advances in trends – and artificial intelligence is today an uber-trend among eager computer scientists and engineers around the world. One measure: AI patenting is way up – with an average annual growth rate of 43 per cent, according to the European Patent Office. But what’s involved in creating AI? Experts in artificial intelligence have broken the job of computerised thinking into several related tasks. First, a computer needs information to work on and a way to store it. Then it needs a way to reason about the information, and to learn how to perform tasks (the “machine learning” part of AI). And, of course, it needs a way to talk to the bothersome humans who keep asking it questions. Want to dive deeper into the subject? Here’s a good blog by Sridhar Mahadevan, a senior researcher at software firm Adobe Systems, with a reading list. To do this, the computer also has to estimate how good a particular piece of code might be. “It is more complex than simply capturing patterns” in the software, notes Vechev. “The solution also uses probabilistic methods: we can attach a probability that this is likely to be good code for a particular task.” That could lead to software solutions that are difficult or impossible to develop through traditional approaches. Vechev says his ERC-funded project takes advantage of a confluence of three factors: the growing body of Big Code, the evolution of machine learning algorithms and recent progress in automated reasoning engines – software a computer uses to think its way through a problem. 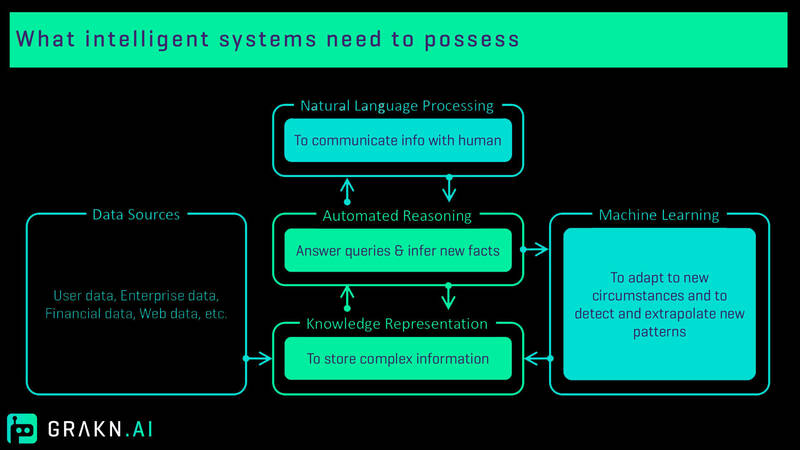 As there is no such thing as complete information or data, machines need to be able to reason to fill in the blanks. For example, if a machine was asked to find out in what country Dom Perignon is made, the system would need to be able to reason that Dom Perignon is a type of champagne, champagne is only produced in the region of Champagne, which lies in the country of France, as explained by AI startup company Grakn AI. The specific tasks Vechev’s team is working on right now are fairly basic. “Within the timeframe of this project, we think this is achievable for small low-level tasks, such as a search for a graph, sorting a set of numbers in a very efficient way or writing a program that manipulates pictures, modifying or cropping an image and saving the result,” Vechev notes. In the long-term, he is hoping his team can create a system that is able to write sophisticated code from high-level descriptions. “If the system could beat an expert human in a programing competition, that would be success,” he says. From there, managers might be able to give instructions to computers and robots, just as they do to other human beings, rather than meticulously writing precise code. This could trigger a paradigm shift in the way software is created, with implications for millions of developers worldwide. It could also help to streamline and improve the development of machine learning, natural language processing, programming languages and software engineering. To commercialise his research, Vechev and his former PhD student Veselin Raychev have co-founded an ETH spin-off, called DeepCode, which is developing a new AI-based system for automating code review. Aude Billard is professor and head of the Learning Algorithms and Systems Laboratory at the School of Engineering of Switzerland’s École Polytechnique Federale de Lausanne. She received a MSc in physics from EPFL, a MSc in knowledge-based systems and a PhD in artificial intelligence from the University of Edinburgh. She has been an adjunct faculty member at the Computer Science Department of the University of Southern California since 2003. She was the recipient of the Intel Corporation Teaching award, the Swiss National Science Foundation career award, the Outstanding Young Person in Science and Innovation from the Swiss Chamber of Commerce and the IEEE-RAS Best Reviewer Award. Her research spans the fields of machine learning and robotics, with applications in industrial robotics and assistive robotics. Her research received best paper awards at IEEE TRO, ICRA, IROS, NIPS, Humanoids, ROMAN and was featured in the BBC, IEEE Spectrum, Wired and other media. Could robots put Swiss watchmakers out of business? Not for a long time. In fact, robots really struggle to emulate the kind of delicate, fine-tuned manipulation to be found in industries like watchmaking. Researchers wire up the skilled hands of a watchmaker. It takes four years for human apprentices to learn the intricate skills required to assemble a hand-made Swiss watch. That’s because they are working at a scale where their normal sense of touch alone isn’t sufficient to guide the precise manoeuvres and fine manipulation required to build the tiny mechanisms. Today, that kind of delicacy is beyond any robot. They don’t, for example, typically manipulate flexible materials, pack fragile goods such as wine glasses, or perform other tasks that require humans to “feel” their way. How to close the dexterity gap between humans and robots is the subject of an ERC-funded research project being run by Aude Billard, a professor at the Swiss Federal Institute of Technology in Lausanne. “We roboticists need to understand how humans learn to do tasks that go beyond your natural sense of touch,” says Billard. “In the case of watchmaking, humans manage to control micro-level displacements and forces with precision, which is challenging given that the human sensory system is incredibly noisy,” she adds, referring to the continual input we get from our senses. The questions puzzling Billard are: How do humans learn to place their arms, fingers and joints and constrain them to overcome this sensory-motor noise? How do they manage to model the world in which they’re working? One hypothesis is that we simplify. For instance, we may learn to forbid our joints to move in a certain way, only allowing the tactile impact to happen in specific directions. And we appear to filter our sensory inputs, focusing on what’s important for the task at hand. Billard notes that beginner drivers tend to pay attention to everything that is happening around the vehicle, while experienced drivers have learnt that not everything matters; they subconsciously apply the right amount of pressure to the brake and accelerator pedals to adapt to each situation. What’s so hard about making a watch? The graph here, based on Billard’s studies, shows the difference between a senior and junior watchmaker: the skilled worker makes fewer time-consuming mistakes. 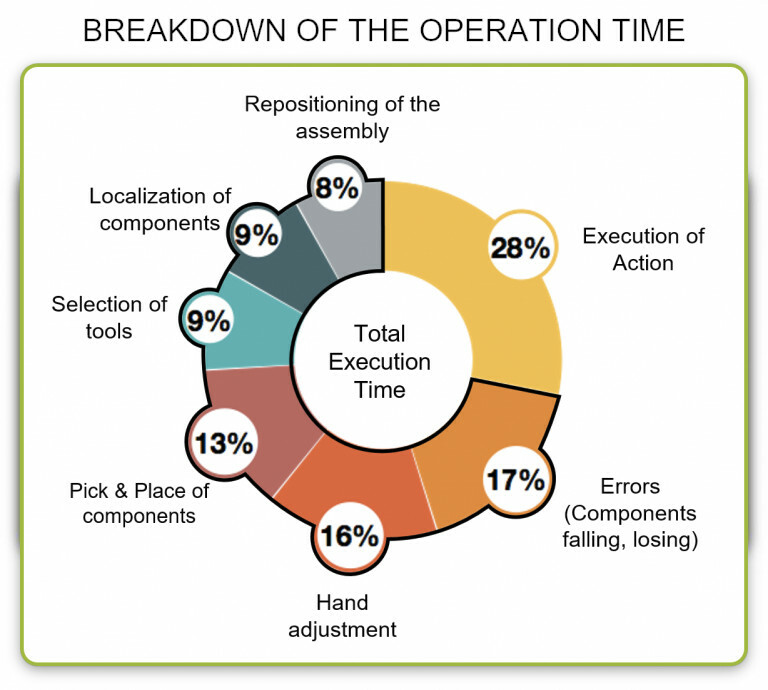 This diagramme breaks down the task of assembling a watch into different actions. Most of the time goes into preparation. So that brings her to the watch industry. Her research team is following a cohort of apprentices at one of the most famous watchmaking schools in Switzerland, as they gradually learn, through repetition, to achieve the right level of precision in each task without breaking the delicate mechanisms in the watch. Billard’s team has mounted sensors on the apprentices to measure the position of the fingers and the forces applied. It also plans to employ a device to monitor the electrical activity in the muscles in the apprentice’s forearms. Billard’s research team is also developing software that can enable robots to interact with moving objects, so they can, for example, learn to catch items by achieving the right orientation. Although assembling a watch and catching a ball may seem like very different skills, Billard says they both rely heavily on preparation and assuming the right body posture – something human beings learn with practice. The ultimate goal is to create robots that can learn many different tasks, rather than being hard-wired to perform a specific job. “We want to reach a point where robots have a flexible brain, so that when they get out of the factory, they learn whatever task you want them to do,” Billard says. Josef Urban is a principal researcher at the Czech Institute of Informatics, Robotics and Cybernetics (CIIRC) of the Czech Technical University in Prague. His main interest is development of combined inductive and deductive AI methods over large formal (fully semantically specified) knowledge bases, such as large corpora of formally stated mathematical definitions, theorems and proofs. His systems have won several competitions in this field. He received his MSc in mathematics and PhD in computer science from the Charles University in Prague, worked as an assistant professor in Prague, and as a researcher at the University of Miami and Radboud University Nijmegen. In 1606, British privateer Sir Walter Raleigh had a puzzle: What’s the best way to stack cannonballs on the deck of a ship? Through a mutual friend, the problem eventually got to Prague and Johannes Kepler, the famous mathematician and astronomer. Kepler’s conjecture: stack the balls in a hexagonal pyramid, with each layer nestled in the spaces created by the balls below. Of oranges and cannonballs: Bradley Moore, of Mayville State University in North Dakota, prepared this explanation of the Kepler Conjecture. Over the past 400 years, generations of mathematicians have tried to prove Kepler was right. In 1998, an American mathematician, Thomas Hales, developed a proof that other mathematicians certified as 99 per cent certain; but it took another two decades to create a formal proof that was rock solid – and that required the help of computers to run down every possible way of solving the problem. To remove the need for such arduous legwork, AI researchers are trying to get computers routinely to verify and replicate the feats of reasoning exhibited by mathematicians. Josef Urban, principal researcher at the Czech Institute of Informatics, Robotics and Cybernetics in Prague and Cezary Kaliszyk at the University of Innsbruck are seeking to develop computer systems that help to automate the verification of complex mathematical theories and mission-critical software and hardware systems. The value of this work was highlighted in 2009 when a team at National ICT Australia (NICTA) headed by Gerwin Klein completed a ground-breaking formal proof of the correctness of some general purpose software at the core of an operating system, known as a kernel. 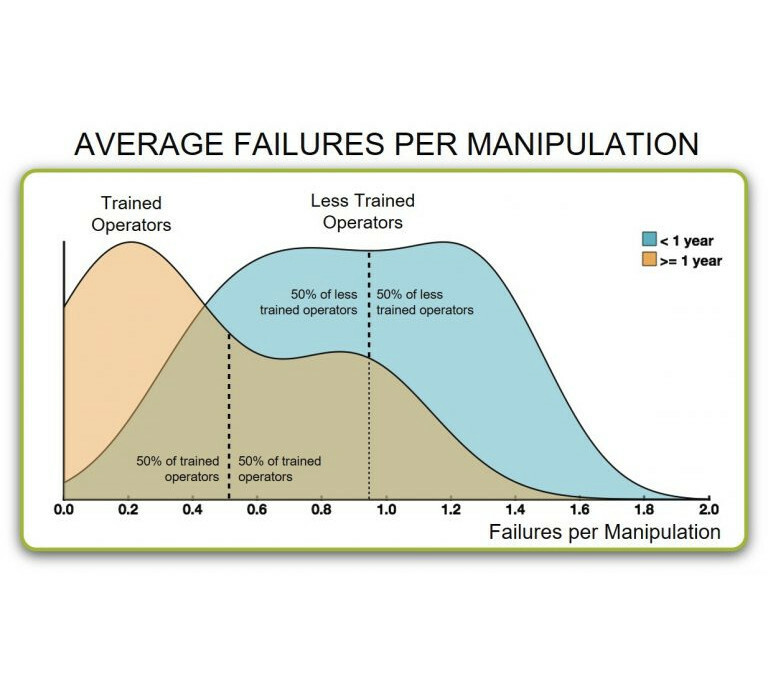 The NICTA team were then able to state categorically that the kernel will never crash or perform an unsafe operation, while also enabling the team to predict precisely how the kernel will behave in every possible situation. However, the kernel in question is relatively small, comprising just 8,700 lines of code, together with 600 lines of assembler. The challenge for Urban and his team is to create systems that can help with automated verification of much larger programs. Urban’s main idea is to build feedback loops between what the computer learns by studying the mathematical data, and new reasoning techniques. It does this repeatedly, continually improving the algorithms. The trained networks guide the logical reasoning engines, which in turn produce more and more proofs and reasoning data to learn from – a virtuous circle. In this way, the system gradually gets smarter at applying the reasoning rules that lead to a conclusion. 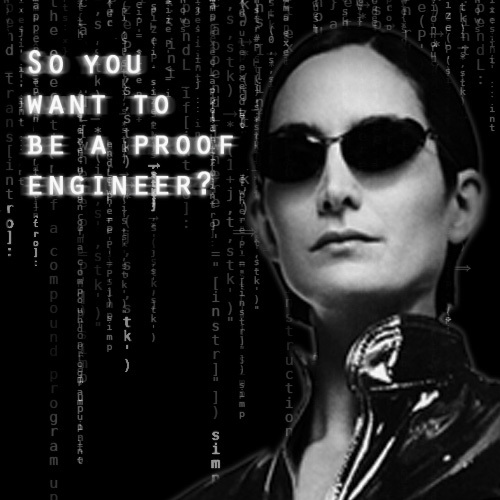 The goal is to create powerful automation services for mathematicians. Urban’s project is the culmination of years of work focused on bridging the divide between mathematics and computer programming. For that to happen, mathematical theories need to be written in a way that computers can understand and verify. “Then they can read the mathematics and report any mistakes,” Urban explains. “They might even produce some deep elaboration, making millions and millions of steps very clear, so they can be verified by a simple proof checker.” This is an old dream, first expressed 25 years ago in the QED Manifesto, a proposal by a group of mathematicians to create a computer database of all mathematical knowledge. “Quod erat demonstrandum” is a mathematician’s equivalent of “The End”: the conclusion of a proof, or “that which was to be demonstrated,” in Latin. But it’s also in the title of a famous project proposed in 1993 to capture all of mathematical knowledge in one huge computer database - in all its rigour, formality and glory. In essence, a silicon god of mathematics. Needless to say, it hasn’t yet been accomplished. Urban’s research could also make it more straightforward to verify complex software and hardware designs, on which today's information society critically depends. Complete formal verification is the only known way to guarantee that a system is free of programming errors. Such guarantees will become increasingly valuable as computers begin to drive cars, land aeroplanes and take over activities that require high levels of safety. Frans A. Oliehoek is associate professor at Delft University of Technology. He received his Ph.D. in computer science and an M.Sc. in artificial intelligence, both from the University of Amsterdam. He subsequently did postdocs at MIT, Maastricht University, and Amsterdam. In parallel he took up a position as lecturer at the University of Liverpool. His research interests lie in the intersection of machine learning, AI and game theory. He is considered an expert in the field of decision making under uncertainty, with emphasis on multiagent systems. He received the best PC-member award at AAMAS 2012. In 2017, a computer beat the world’s top-ranked human at the ancient Chinese game of Go. It was a landmark in artificial intelligence, and used a process known as sequential decision making: a decision is made, an event occurs, another decision follows, another event, and so on. But can such techniques be scaled to address the highly complex challenges confronting human beings in the real world, such as optimising the use of limited road space in dense urban areas? For Frans Oliehoek, the answer is no. “The God of Go”: That’s how Ke Jie, a grandmaster at the game, described the Google computer that beat him 2 games to nil. So Oliehoek is trying a different approach: ignore the detail. His solution is to abstract what is happening across a city, such as Manhattan, to focus on the most important “approximate influence points” – for instance, what enables the traffic lights at a particular intersection to respond correctly. Oliehoek intends to demonstrate his methods in two domains: traffic light control in an entire city, and robotic order-picking in a big warehouse. In the latter case, the goal is to optimise the actions of multiple robots working in warehouses. Unlike traffic lights, the robots in a warehouse will be moving from location to location, further increasing the complexity of the system. The competing AI programmes: Which learns faster? Next time you’re stuck in city traffic, you may be blaming the stupid traffic lights. And you’re probably right. Olihoek’s lab is teaching computers to do the job better. This video, from his lab, shows lots of little cars trying to get from one side of a road map to another, as quickly as possible. The problem: they’re coming from eight different directions, and piling up at three intersections. How to control the traffic lights so they can all pass as efficiently as possible? The video shows two different programs at work, and the graph charts the average time it takes a car to cross the city. At first, both programs do badly at managing the lights, and the average time soars. But after around 700 cars have passed, the systems start doing it better. They are teaching themselves. Of course, real cities have more than three intersections, but the research is still underway. Until they finish, better ride your bike. Mauro Birattari is a senior research associate of the Belgian Fonds de la Recherche Scientifique, based at Université Libre de Bruxelles. He received his master's degree in electrical and electronic engineering from the Politecnico di Milano, Italy, and his doctoral degree in information technologies from the ULB Faculty of Engineering. He has co-authored more than 150 peer-reviewed scientific publications in the field of computational intelligence. His research interests focus on swarm intelligence, swarm robotics, machine learning, and the application of artificial intelligence techniques to the automatic design of algorithms. He is an associate editor for the journals “Swarm Intelligence”, “Frontiers in Robotics AI: Multi-Robot Systems”, and “PeerJ Computer Science”. 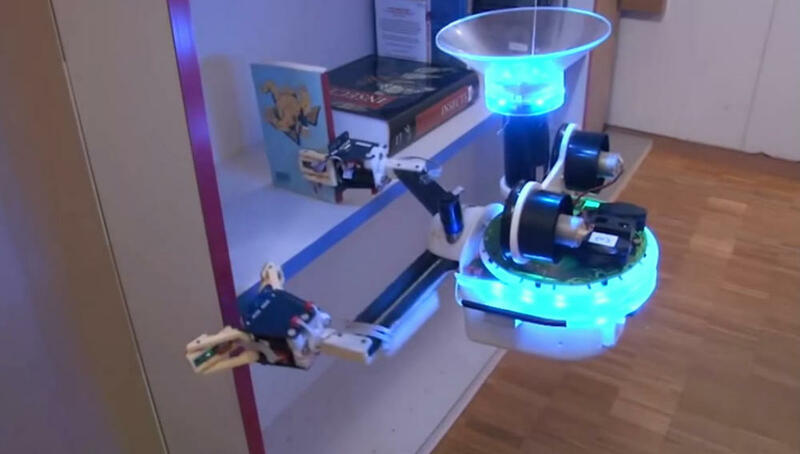 In the lab, different kinds of robots can work together – in this case, to fetch a book from a shelf. Demiurge, Greek Dēmiourgos (“public worker”), plural Demiourgoi, in philosophy, a subordinate god who fashions and arranges the physical world to make it conform to a rational and eternal ideal. 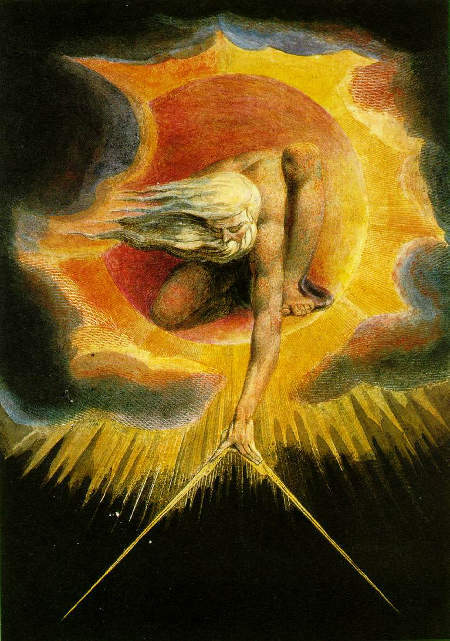 Plato used the term in the dialog Timaeus, an exposition of cosmology in which the Demiurge is the agent who takes the pre-existing materials of chaos, arranges them according to the models of eternal forms, and produces all the physical things of the world, including human bodies. Sandra Hirche is a professor in the Department of Electrical and Computer Engineering at the Technical University of Munich. She received a diploma engineer degree in aeronautical and aerospace engineering from the Technical University of Berlin, and a doctorate in engineering from TUM. She was a post-doc fellow of the Japanese Society for the Promotion of Science, at Tokyo Institute of Technology. Her main research interests include cooperative, distributed and networked control with applications in human-robot interaction, multi-robot systems, and general robotics. She has published more than 200 papers and received multiple awards such as the Rohde & Schwarz Award for her PhD thesis and the IFAC World Congress Best Poster Award. A robot helps people move some furniture around the lab. An ERC-funded research project led by Sandra Hirche, professor of control engineering at the Technical University of Munich, could help build that trust. Hirche and her team are using artificial intelligence to develop advanced robotic systems that can work alongside humans in a safe and intuitive manner. If she is successful, robots could act as care givers to the incapacitated, support physical rehabilitation, provide mobility and manipulation aids for the elderly, and – in the workplace - collaborate with humans in manufacturing processes. Based on the probability theorem developed by the Reverend Thomas Bayes in the eighteenth century, Bayesian methods are being used to improve machine learning algorithms by enabling them to fill in gaps in data and extract much more information from small datasets. Bayesian methods can also be used to estimate uncertainty in predictions, which can be very helpful in medicine, for example. When Bayesian methods are applied to deep learning, they can compress models 100-fold, saving time and money.